Your heart is perfect for Him. “Behold, you delight in truth in the inward being, and you teach me wisdom in the secret heart” Psalms 51:6, ESV. There was a book I read many years ago that had the most profound effect on my life. It was, “My Heart, Christ’s Home” by Robert Boyd Munger. It was a small little pamphlet of a book that you’d ever see, but within it’s pages was profound truth. It talked about a man who let Jesus come inside the home of his heart, and while he tried to let Jesus only enter the “clean” areas, Jesus wanted to go into the closed off rooms that were locked. Let’s pray…Thank you Lord. Yes, I give you full access into every room in my heart. I know you love me. I know you only want to set me free. I surrender completely to you. Come into every room in my heart. Take my life and change it. Take my heart and free it. Take my mind and renew it until I look like you on the inside and behave like you on the outside. In Jesus’ name. 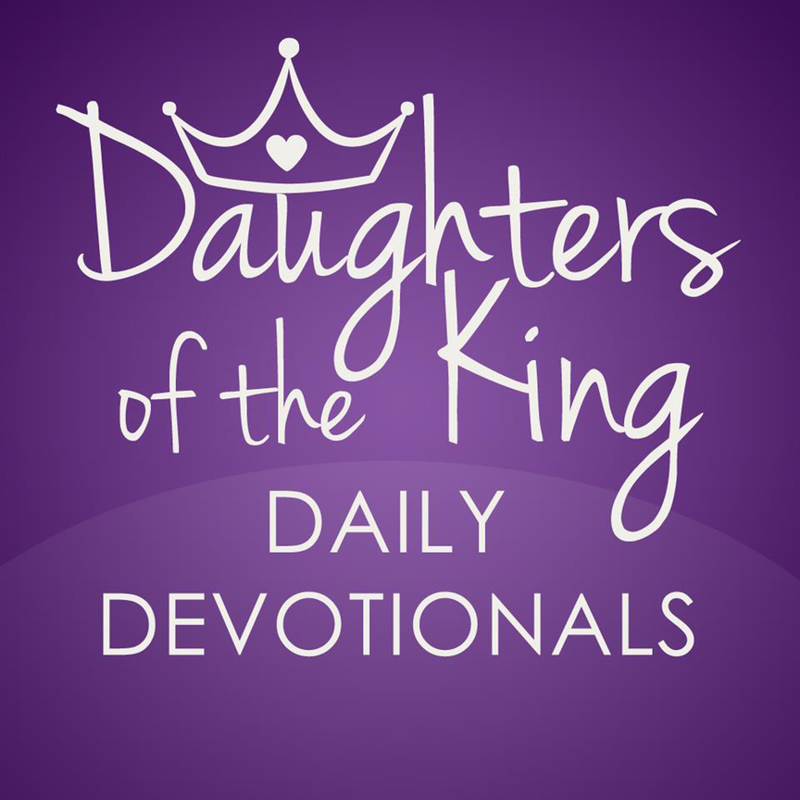 For more encouragement, order our newly released book, “Daughters of the King Daily Devotionals (Volume 1). Available at www.dot-k.com/store and at www.amazon.com. Within it are 335 of our most impacting devotionals ever released. Do not be anxious about your life. Yes Lord I invite you in every area in my life. Come Lord right now . I ask in Jesus name Amen. Lord every room insde my heart is all yours . I give you access to each room because you already have the master key. Come leave within me and do whatever you see fit to do with me in Jesus mighty name . Amen! Amen come into my hearth lord jesus only you lord . Your prayer is my prayer! It is perfect! Thank you for sharing! Jesus, You hold the key to my heart, Lord. Okay, here, take these secret keys and go where You must. I trust You to see me through this process. I can’t count how many keys I have here on this key chain made by the enemy. Here, just take it from me. I don’t want it anymore!! Go open those doors. Go ahead. I am asking You to. Holy Spirit, comfort me!! Hold me through this! There are a lot of locked doors. I know I did not come this far to say, “I won’t let You in there!” I don’t dare, Jehovah Shalom! Take me home!! I am held there im heavenly places! Lift up the tear- stained faces!! Give us peace, Lord! Give us more! We want more! The darkness lives there in those locked rooms. I keep them closed so I don’t have to face what I locked away there! There is great sorrow and remorse there, regret and unforgiveness, anger and condemnation stare back at me when I peek in there! So I locked those doors tight! I covered them with the night. But, I know Your light is bigger than the darkness there. Go and I will follow. Hold my hand tight, Lord. I am still afraid of the cold, dark lonely night! Help me fight to get up from here and stop hiding under the covers. I shall discover what lies underneath the rubble there in those rooms. But Lord, the basement, it stinks and reeks of death and disease! The putrid smell tainted my soul until You came in. Go on and do what You must. I trust You. Take them all. All of the keys, the chain that holds them, and the secret code to the basement below. You do it Your way, Lord. Do as You will with my heart and life. It is Yours. I don’t want any more keys of my own. I will pick them up from You every morn to open up the door of my heart to You and You alone. Then I will leave them with You! There is no one else I want moving about in my heart! So take all the keys to my heart, take me apart, and burn down the rooms that have no purpose here and clear all the rubble and trash out of the other rooms, Lord. Go on and be my Holy Housekeeper!! Help me, when You open those doors. Hold me close and tight. Defeat the darkness and coldness and death that lies there! Do this for me, Jesus! My life is Yours! My heart belongs to You! You are seated on the throne of my heart. So, go on and make this palace ALL Yours!! I am not afraid!! I fear not, for I know You walk with me through every valley! Oh, sweet victory is Yours! You shall conquer and claim ALL of my territories for You and Your glory, Lord. Hallelujah!! I receive it!! Yes! Lord! Clean house!!! In Jesus’ Name, I pray for and receive all that You have for me. Long live King Jesus!! He shall reign on the throne of my heart forevermore! Jesus, make a way! I know You will always stay with me. I receive the power and grace to face what’s behind those doors. I am free of guilt and shame! I am known by my true name!! As the song by Bethel music sings unto my ear, I sing to You from my heart! You will be praised! Your praise will ever be on my lips!! And on these fingertips!! Hallelujah!! Thank You, Jesus! We won’t be stopped, You and me, You in me, and me abiding in You!! We are a team, You and me! You are the best friend to me! I couldn’t ask for anything more! You are always, always, always more! How can You keep being more? It baffles me, but I am so happy to be here with You! There is no one else for me! No one else who can complete me and love me, as You do!! Oh, how I love You so much. You bring tears to my eyes, overflowing, and sobs that engulf my voice! But it’s love I feel! And it’s so real!! I love You so much, Lord! I adore You so much! I love You more today, Lord! You make my blessed yesterdays less than before, BECAUSE YOU ALWAYS GIVE ME MORE!!! GO AHEAD, JESUS, UNLOCK AND OPEN EVERY DOOR! CLEAN UP THIS TEMPLE, SO THAT I MAY RECEIVE COMPLETE HEALING, RESTORATION, AND EMPOWERMENT! IN YOUR MIGHTY NAME, JESUS, I PRAY THIS! I RECEIVE IT! MY HEART IS YOUR HOME, SO MAKE IT YOUR VERY OWN! AMEN. Thank you Lord for those annointed and real words from Cricket. Straight from the throne room. May we bask and soak in this annointing. Yes Father God …create in me a new heart and renew the right spirit within me. Father I give you permission to go in and take out all the junk in my trunk of my heart ..renew n set me free from my childhood to now.. Father you created me in your image have your way in me.greater are you Jesus in me then he that’s in the world. These devotion have been a blessing to me over the past few months. My prayers for this year will be for God to enter and live in my whole heart, that He will shine in everything I do, say and think. God bless you, my sisters. My prayer is yours to pray, as well! I love yall! May Your day be blessed and anointed. May His favor be poured onto your lives and may his grace flood your souls. God bless us, each one! May Your Will be done and Your Kingdom come in our hearts and lives forevermore. Again, I say Jehovah Nissi, You are more!! That is my anthem for this day! You are more, Lord Jesus! Jehavah Shalom, I thank You ahead of time for keeping me in Your perfect peace! Hallelujah!! Thank You, Jesus! Keep us in Your perfect peace! As You conquer our perfect hearts for Your glory! We receive Your love story unto our hearts, Lord. Set us apart for our holy romance with You! Oh, how You romance Your way unto my heart! You steal my heart away! So there’s no one else for me than YOU!! You swept me off my feet, Lord!! I am all Yours!! In Your beautiful, sacred Name I pray, amen. Thank you Heavenly Father God for living and working in me. I love you God, I love you Jesus Christ, I love you Holy Ghost. Amen, Lord I thank you for sacrificing everything to be able to live in and through me. Tear down the walls of the enemy and rebuild with me a sound spiritual structure with the foundation being of intimacy with you Jesus, I love you and praise you, Amen! Okay, Lord. We went through that door, and that hurt a lot. My heart is heavy. I trust You to carry me. I release my tears unto You. I am held in the arms of my Heavenly Father. Please hold me tighter, Lord. This hurts so much. I receive Your loving hug. Help me. Take away the hurt. I feel sick with grief. Take it from me. I don’t want this no more! Quick Jesus, shut the door. I don’t think I can see anymore right now. Why do I want to tell You I am sorry? I didn’t do anything wrong, did I? Why do I hate to cry? Because of so many tears shed alone? Hold me. I knew this wouldn’t be easy! But You’ve got me, don’t You Jesus? Of course You do! I believe it! You won’t fail me! I know You won’t. In Your faithful Name I pray, amen. Lord, my heart doors are unlocked. I’m all yours! Amen! Lord, come in every room in my heart unlock ever door, take full control I want your spirit to radiate, from the inside out of me. In Jesus Name, Amen. Father, I abandon myself into Your Hands, do with me what YOU will. Whatever you do, I accept. Let only your will be done. AMEN. I thank You, Lord, that You are with me in the dark. I thank You, Lord, that You are with me and hold me close when I am afraid. I thank You for being right by my side, as I walk down this long, dark corridor of heavily guarded, sinisterly locked doors of my heart. I trust You, as You hold my hand and we enter these rooms, Lord. You set the pace. I am caught up in Your grace. Dispel the shame and disgrace in this place! I shall see the corridors of my heart filled with Light and You and I shall walk and talk here and I shall enter all the rooms without fear. Never again will I need keys to enter the rooms that have been locked away in the darkness here in my heart. I know, Jesus. You are about to start a revolution in my soul! Oh, dear Jesus, help me let go! Oh, my soul, let go and let God! I am safe here in His arms! Nothing can harm me here! I have absolutely nothing to fear! Oh, my soul, give up the fight! The night is about to become Light! Yes! The Light shall walk through the corridors of my heart and dispel darkness forevermore! Let’s go, Jesus, let’s go further down this corridor! Every door is Yours to open in Your timing! I shall keep rhyming my way to Your heart! And I know Jesus, You are setting me apart! You are preparing me for more!! I don’t want to settle for less! Nonsense!! I am meant for the best!! Because I am a daughter of the King!!! And You, King Jesus, are my everything! Long live, King Jesus! He shall reign on my heart forevermore! Yes! Yes! Yes! I am preparing to receive His best for me!! Sweet victory is coming! We shall keep on running, Jesus! You and me! Set the pace and I shall endure the race and we shall celebrate at the finish line! I love You, Lord. I am putting on my armor now! All that stuff we just dug up, I lay it down! Take it from me quickly! I shall not receive it again! Throw it all in the sea of forgetfulness! There goes a little of the darkness, Lord! Yes! Yes! You are the Best!! Oh, You give my soul rest! You are better than all the rest!! I put Your love to the test and You wow me! Oh, You are so sweet to me! I shall never leave Your side again! For You are more than a best friend! You are a brother who sticks closer than a friend! Oh, how many different ways to love the Savior of the world!! So many, many ways, my Lord! I shall savor these moments, as You clean up my heart and soul! For I know that You do this ALL for me. Not for my purpose or for my destiny! But because You love me and You want to set me free! I shall be free indeed, Jesus! My sweet Jesus! I shall love You forevermore! You are more!!! In Your Glorious Name I pray. King Jesus, You reign! Amen. Amen. I touch in agreement with zebi! Thank you zebi for your blessed prayer! Love you, my sister! My Lord and Savior, Emmanuel, Jesus Christ, the Light of my life, Shall You receive the biggest hug I have ever given anyone, King Jesus! Right now, I am throwing myself into Your arms! I love You, so much! Nothing can ever take this love away from me! Nothing or no one! This Love is mine!! And His Name is King Jesus!! Hold me close and spin me around and around!! I shall be dizzy in Your love, fall down to the ground and worship You like never before!! Because You are MORE, always and forevermore!! Thank You for unlocking that door! You rock!! So, rock on and I shall hold my torch as we go on!! And when the torch goes out, I shall look about me and see that I am surrounded by light and life, and there hope shall rise and be manifested unto me and my family! I receive it, Lord! I do! I do! I do! I love You, Jesus!!! Engulf me in Your light!! Amen. Good morning father God! I come asking you to come into every chamber, every corner, and every crevice in my heart. Lord please cleanse me and make me whole! Remove all of the dust and cob webs from within. Help me to be purer In thought and deed. Help me to seek and do your will, not my own. I love you father and I need you to guide me day by day. Teach me your will, in the name of Jesus, amen! Thank you, anne, for all of your support! It means so much to me! You could not know how much your own testimony strengthens and encourages me. When you say my daily walk with Him has drawn you unto Him, this further confirms that I am being obedient unto the call on my life. I really see a beautiful gift of encouragement in you. I will continue to pray for your walk with Christ and trust and know that He will make you a great disciple for Him. I love you so much my sister in Christ! I am giving you a big hug in the spirit for my joy for you that you are growing in the Lord! I am so happy to be a part of that! Thank You, Lord Jesus. You are awesome! I love You Emmanuel!! Oh Hallelujah to the Lamb of God as Your work is done in every inward part. My sisters I am truly blessed by the love and sisterhood shared amongst us all. May the love of God, that surpasses all understanding keep our hearts and minds in perfect peace. Yes Lord take my heart and free it!!! I had just told the Lord just the other day to take back by heart from the person that broke it and I give it back to him. Thank you God for this devotional. Lord have your way with my heart. Do the work only you can do what no one else can. In Jesus name Amen! Dear Lord, Here I’m all Yours and even the hidden places I didn’t allow You to work on. Take me as I’m and work on every part of me. I ask You to forgive me for only allowing You to work on what I wanted You to work on, but my hidden parts of my life need You more. You are the only one that can do this. I just have to open it all to You. Heal me Lord, work on me and have mercy on my soul. Amen.